High Church (left) has ended a long run of outs to beat Midterm in a tight finish at Caulfield. Last year’s Warrnambool Cup winner High Church has bounced back to winning form with a hard-fought victory in a staying race at Caulfield. 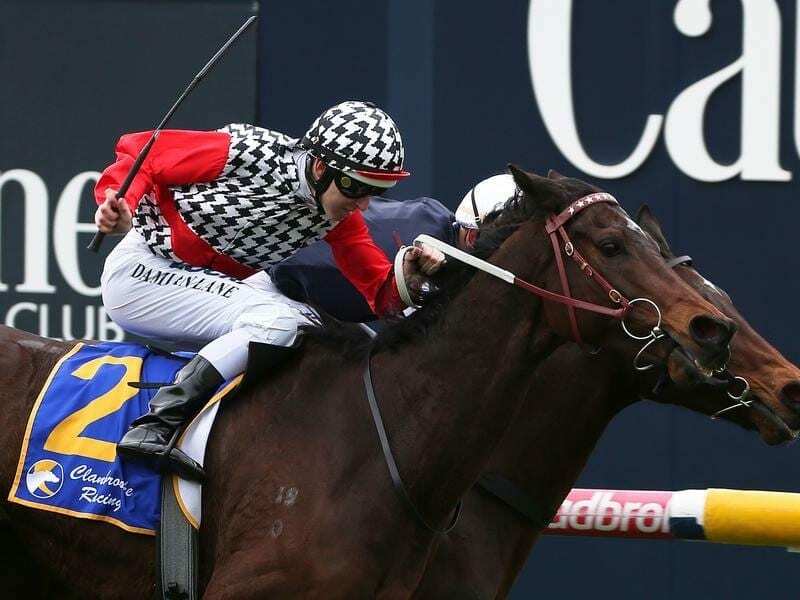 The Darren Weir-trained gelding won the 2017 Warrnambool Cup and was later third in the Group Two PJ O’Shea Stakes in Brisbane last June before spending 11 months on the sidelines after a knee injury. The eight-year-old had been unplaced in six starts since his return in May but was able to deliver in Saturday’s Clanbrooke Racing Handicap (2400m), defeating Midterm by a short half-head. Tall Ship was another 2-1/4-lengths away third. Jockey Damian Lane opted to roll forward in the first part of the race to sit just off Midterm and High Church gradually wore the leader down. “He’s taken a little while to hit form this preparation,” Lane said. “He had an injury up in Queensland a couple of seasons ago now and he’s just taken a long time to get back to form. Stable representative Darryn Murphy said Weir had changed things around with High Church, taking him to his Maldon farm to train for a change of environment. “Hence he raced a bit sharper,” Murphy said.